Just what the world needs: Another way to share corporate files. Chalk that one up to Salesforce.com, which today announced Salesforce Files, touted as a new way for its customers to collaborate on whatever files they happen to be using. 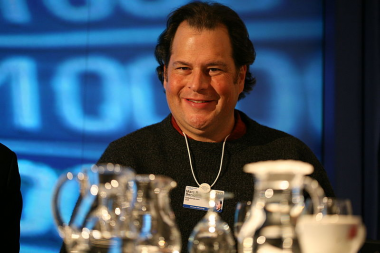 It used to be called Chatterbox — CEO Marc Benioff first disclosed it about a year ago — and it was largely seen as a potential competitor to Box, the enterprise-focused cloud file-sharing and collaboration service in which Salesforce is an investor. Talk about awkward. Anyway, Chatterbox is now called Salesforce Files, and since files are central to a business, whether Word documents, spreadsheets, presentation decks or pretty much anything else, they get stored all over the place. Sometimes they’re on a PC hard drive, or sometimes they’re in one of a long list of cloud services. When you need them, you either have to go through the trouble of tracking them down or creating new ones, and that’s both irritating and inefficient. The point of Salesforce Files, the company said, is to get those files linked up with the internal business processes like marketing and sales and the rest. And it works with Box, Google Drive and Microsoft’s SharePoint. Salesforce is hoping to get the sharing unified within a single trusted environment, rather than have important files scattered all over the place. The service is currently in a private beta-testing period. No word yet on when it will be generally available.